KUALA LUMPUR: The government targets to reduce the crime rate by up to 53.2 per cent with the implementation of asset and operations digitalisation in modern policing, said Deputy Prime Minister Datuk Seri Dr Ahmad Zahid Hamidi. He said the digitalisation effort would improve efficiency in combating crime and safeguarding public security in the country. “The people’s perception is that the crime rate reduction has not attained 47 per cent. The people must place their trust in the capability and assets of the police in maintaining public order in the country,” he said to reporters after delivering a keynote address at the Huawei Asia-Pacific Innovation Day 2017 here yesterday. Ahmad Zahid, who is also the Home Minister, said the digitalisation move included the installation of high-definition automatic detection closed-circuit cameras in phases over a two-year period. He said that on the basis of the proof of concept undertaken by the police over two months, a total of 200 hotspots had been identified under three categories, namely frequent occurrences of crime, drug distribution and addiction, and road accident spots. “The CCTV high-definition detection cameras can monitor a criminal offence and track the criminals in accordance with international standards. “Existing CCTV cameras can capture photographs but cannot track anyone. The new CCTV cameras can do that,” he said. 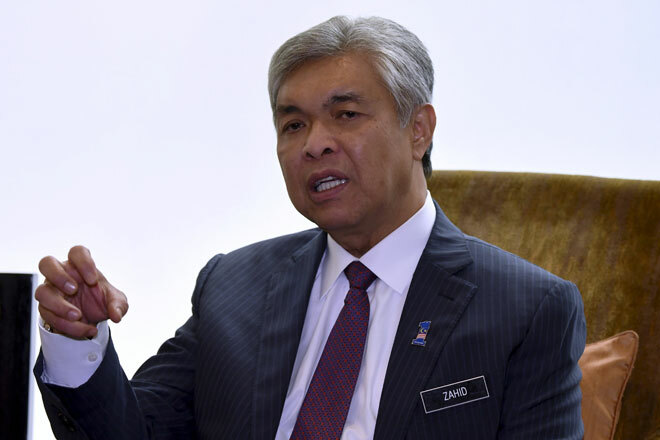 Ahmad Zahid said the Performance Management and Delivery Unit (Pemandu) was awaiting the proof of concept report from the police before the agency looked into the use of technology and the medium- and long-term financial packages. Pemandu would consider approval for combination installations involving business complexes and other agencies so that the sophisticated digital devices were used by not only one party but shared by several, he said.